The role of civilians during ongoing operation Pillar of Defence is traditional one: Hamas and other Palestinian terror organizations intentionally target Israeli civilians and use the population of Gaza as human shields, storing and firing rockets from within populated areas. In stark contrast, Israel does not intentionally target Palestinian civilians; in opposite the Israel Defence Force (IDF) takes extraordinary measures to avoid Palestinian civilian deaths. Israel uses early warnings and sophisticated missile defence system to protect its own population while the role of civilian population in Gaza seems again to be that of cannon fodder and their value only propagandist. Hamas has systematically fired rockets over 12,000 at the Israeli Home Front for the past 12 years. Since November 14, over 350 rockets fired from Gaza hit Israel, many of them directed at densely populated areas. Over the past months Hamas has armed itself with the Fajr-5 missile, an advanced weapon with a range of over 75 kilometers, which places 3.5 million civilians at risk. Out of 824 rockets fired from Gaza at Israel over the past few days, 270 of which were intercepted by the Iron Dome anti-missile system and 100 have landed in Gaza itself, IDF statistics show on18th Nov. So one part of civilian deaths in Gaza might have come from their own rockets. The Operations of Hamas are targetted to kill Israeli civilians. Thanks to sophisticated early warning system and Israeli missile defense the casualties of Israeli civilians are small. The oposite is true with civilian population in Gaza due the fatal tactics of Hamas. Hamas (like Hezbollah in Lebanon, like the Taliban in Afghanistan and like al-Qaida and the Shi’a militias in Iraq), use their own people as both tactical and strategic weapons of war. Hamas has intentionally used the civilian areas of Gaza as staging grounds for their attacks on Israel. Knowing that the IDF wishes to avoid civilian casualties, Hamas places its own civilians in the line of fire in order to hide and protect its own operations. Women and children, victims of the Hamas human shield tactics, usually ignore warning signals to evacuate buildings prior to an IDF strike. The victims remain in the house with Hamas members, knowing ahead of time that the IDF will not target civilians. 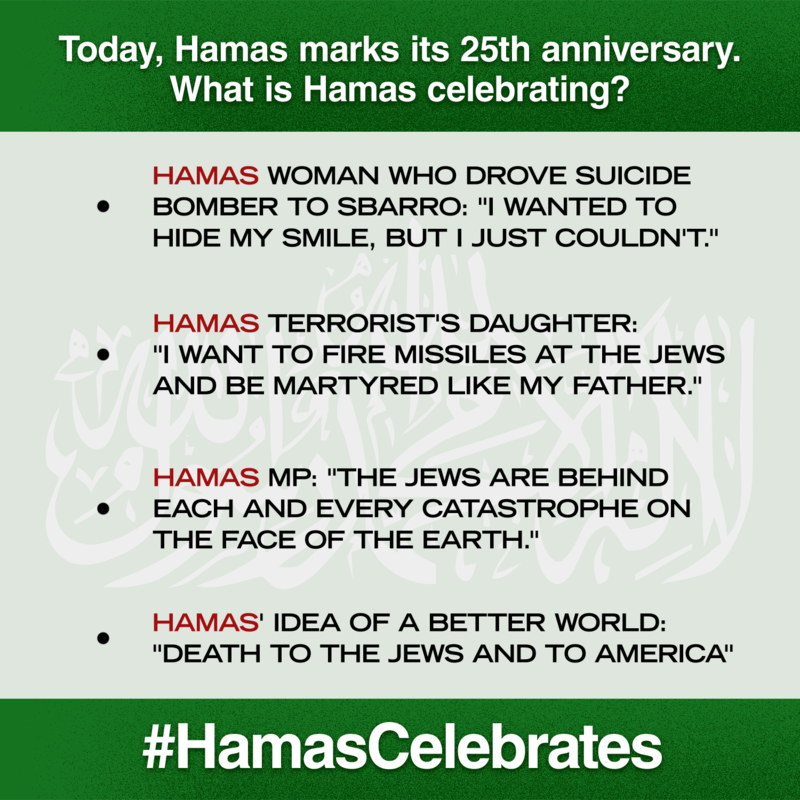 Many innocent bystanders are killed as a result of Hamas’ abuse of its own civilians. Instead of keeping its citizens out of harm’s way, Hamas encourages and even forces its population to join the violent resistance against Israel, sometimes forcing women and children to remain in the positions that they would use to launch attacks from. Hamas used their people too on the strategic level, luring IDF troops to attack and kill them. People whose deaths would be callously exploited in the media as a means of discrediting the IDF. There are several reasons for this: Hamas, of course, operates from within a civilian population and conceals its arsenals in built-up areas. The same is true of missile launchers, rockets and more. In addition, most Hamas militants make sure not to remain above ground most of the day. They stay in the network of tunnels built by Hamas beneath the Gaza Strip in recent years and, in effect, are at very low risk compared to the vast majority of the Gaza population. And the process of launching the rockets is extremely quick and is sometimes done by remote control, so that the ability to strike at those militants is very limited. The following are some ways the IDF uses in order to avoid civilian casualties. While these warnings ruin the element of surprise and can help the enemy escape, the IDF believes that it must take these steps whenever possible in order to avoid harming innocent bystanders. Phone calls: During the last 24 hours of the operation, thousands of Israeli phone calls were made to residents of the Gaza Strip, warning them of IDF strikes in the area. Diverting missiles in mid-flight: During Operation Cast Lead in 2008-09, the IDF aborted many missions seconds before they were to be carried out, due to civilians being present at the site of the target. Roof Knocking: “Roof knocking” is when the IAF targets a building with a loud but non-lethal bomb that warns civilians that they are in the vicinity of a weapons cache or other target. This method is used to allow all residents to leave the area before the IDF targets the site with live ammunition. Of the thousands of patients that requested permits to enter Israel for medical treatments, 99.3% were approved. Patients were only denied permits when it was determined that they could receive necessary treatment inside Gaza (Sept 2012). This year (2012)more than 14,500 permits were issued by the Gaza CLA for patients and their chaperones to leave Gaza through the Erez Crossing. All the requests for medical supplies (equipment and medicine) submitted by the international community to the Gaza CLA have been approved for entry into Gaza. Since September 2012, international organizations, in coordination with the Gaza CLA, have impoted 32 trucks of drugs and medical supplies through Kerem Shalom Crossing. This has included spare parts for dialysis machines, helium for MRI machines, and three fully equipped ambulances. An additional five loads of medicine were imported into Gaza through the Erez Crossing through special coordination. According to the World Health Organization, the process of referrals for patients from Gaza to receive treatment in Israel, the West Bank, and Jordan was suspended for nearly 10 days due to disagreements between the Ramallah and Gaza Health Ministries. As a result, a 38% reduction in monthly referrals left several hundred patients without necessary treatment. The WHO reports that due to the failure of the Palestinian Ministry of Health to pay its accruing debts to Jordan, Jordanian hospitals refused to accept government referrals of patients from Gaza. Medical suppliers are often reluctant to sell supplies to Gaza since there are issues with non-payment. Despite the problematic security situation due ongoing operation Pillar of Defence and the ongoing rocket fire, the help from Israel to Gaza continues. On 18 November 2012, 10 Red Cross trucks with medical supplies and one UNRWA truck entered Gaza via Kerem Shalom Crossing. Two trucks have been designated as being of particular importance as they are carrying much needed anesthetics and bandages. The original massacre, in Syria. 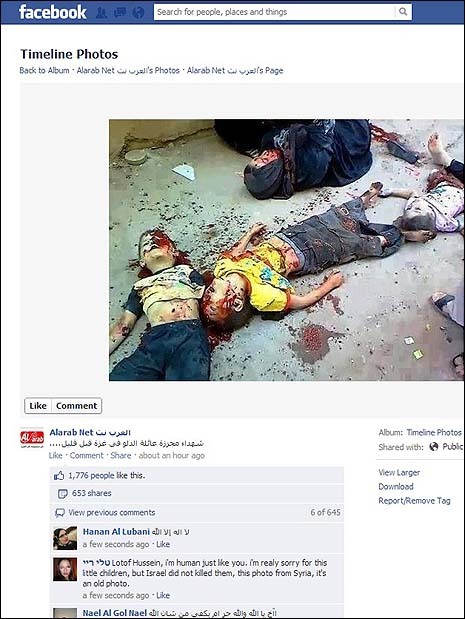 The “recycled” massacre, transplanted to Gaza. Whatever the measures the residents of the Gaza Strip will continue to be the ones to pay the price and if ground operation starts, this price will be much higher than so far. As a result of Hamas’ strategy of using civilian areas for military purposes, it is inevitable that there will be civilian casualties in Gaza. Nonetheless, the IDF goes to great lengths to avoid civilian casualties and to minimize collateral damage. As a result of Hamas’ strategy of using civilian areas for military purposes, it is inevitable that there will be civilian casualties in Gaza. Nonetheless, the IDF goes to great lengths to avoid civilian casualties and to minimize collateral damage. IDF however notes that despite all precautions, IDF forces may have mistakenly targeted sites and hurt Palestinian civilians. According IDF it is fully committed to ensuring that every allegation of wrongdoing be fully and fairly investigated, though this will happen after the conclusion of the operation. As example Col.Kemp probably has earlier Gaza operation Cast Lead (2008-2009). I think that Hamas has learned some lessons from this and now, if Israel goes to ground maneuvers, the ratio of civilian to combatant deaths will be considerable higher. This makes the threshold to start next phase much higher than before. Enough is Enough. The escalation of events over the past few days forced Israel to react to the Hamas attacks.The civilians of southern Israel have been under sustained attack from Gaza since last Saturday, November 10th. 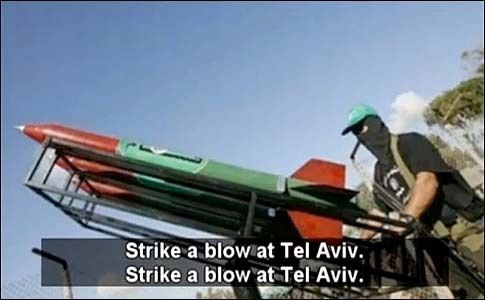 More than 120 rockets were fired before Israel launched Operation Pillar of Defense on 14th Nov 2012. An Israeli ground offensive is now almost assured. Hamas probably assumed that Israel won’t launch broad military campaign before Israeli elections, it seems that they made a serious and for many a fatal miscalculation. The toll the rockets from Gaza have taken on Israeli citizens is heavy. Over one million civilians has lived in range and their lives are threatened with every launch. Now with use of Fajr-5 missiles even two million Israelis are under thread. Approximately 800 rockets and mortar shells have launched since the start of the year a record amount since the end of Operation Cast Lead (January 2009). This peak is similar to the attacks that occurred in 2007-8. Daily life in southern Israel has been totally disrupted. Some 200 rockets were fired at Israel on Thursday 15th, with about 30 intercepted by the Iron Dome system, including between one (IDF version) and three (Hamas version) Fajr rockets fired at Tel Aviv. However, the escalation of events over the past few days forced Israel to react to the Hamas attacks. For the first time since the Gulf War, a rocket has hit Tel Aviv by Fajr-5 rockets, Iranian-made weapons which can reach a lot further than the ordinary Grad missile. Both Hamas and Palestinian Islamic Jihad have claimed responsibility for the attack. This strike is the furthest Hamas has ever struck into Israeli territory and signals a major escalation. More about terrorism from Gaza see the report Terrorism from the Gaza Strip since Operation Cast Lead: Data, Type and Trends, by The Meir Amit Intelligence and Terrorism Information Center. 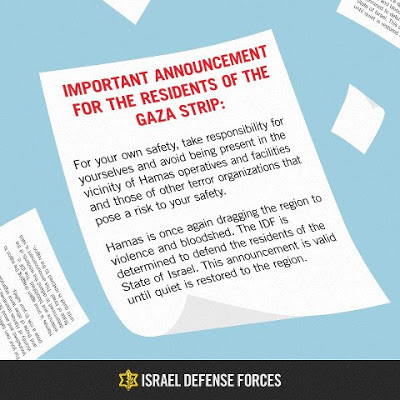 Aircraft dropped leaflets in Gaza stating that the residents should “keep their distance from Hamas terror operatives”. There were similar warnings also via twitter a a couple of days ago. These early warnings were not enough. This operation – Operation Pillar of Defense aka Amud Anan – was planned months ago, but an official launching of it was on Wed 14th when Israel targeted Ahmed Jabari, Hamas’ military chief in Gaza who was responsible for all Hamas terrorist activity emanating from the Gaza Strip in the past decade. Marwan Issa has been named the new commander of Hamas’s military wing. Issa was the deputy of Jabari. Issa headed the Hamas military delegation that traveled to Tehran and Beirut last September and signed secret mutual defense pacts with Iran and Hizbollah. Mr. Jabari (Israel’s OBL) was the first target. The second phase of the operation was an aerial attack which targeted 20 different targets, all underground, which served as launching pads for various kinds of rockets. So far the IDF has targeted some 70 underground, medium range rocket launching sites in Gaza, and some 200 launching sites in overall. IDF special forces which are already inside Gaza, and another which says that armored battalions are already situated around Gaza, ready to go in. The IDF also deployed more infantry troops to the Gaza Strip, as well as armored combat units that largely comprised Merkava Mark IV tanks fitted with Rafael’s Trophy active protection system that effectively neutralizes the threat of antitank missiles. More and live updates from IDF. The Israel Air Force carried out precision strikes on the bunkers where Fajr-3 and Fajr-5 rockets had been stored as well as on other caches and launching sites, reducing Hamas’ ability to launch these long-range missiles which are capable of hitting Tel Aviv. As in the 2006 Second Lebanon War, which began with Israel destroying Hezbollah’s long-range rockets, the most pressing objective was to deny Hamas (and the Palestinian Islamic Jihad) the ability to disrupt the lives of those in the greater Tel Aviv area and central Israel by means of long-range rockets. The aim of Operation Pillar of Defense is to remove a strategic threat to Israeli citizens including by reducing the capabilities of Hamas’ long and short range rocket forces. Additionally, Israel is acting to impair Hamas’ command and control system. According IDF all options are on the table, including ground maneuvers. IDF has not yet confirmation that one part of these rockets have been launched from Sinai, Egypt, which would bring new international aspect on the table. The role of civilian population in Gaza seems again to be that of cannon fodder and their value only propagandist. Hamas and the other terrorist organizations hide among the civilian population of Gaza. They also direct their fire at the civilian population of Israel. These actions constitute a double war crime. I well understand that Israel as no other state would allow a million citizens to be targeted by terrorist organizations without responding. Despite Israel left the Gaza Strip in 2005 , Hamas has continued to attack Israel, so one could conclude that they are not fighting against Israel’s (non-existent) presence in Gaza but against Israel’s very existence. Presuming Israel is not about to re-take Gaza permanently, some experts and commentators in Israel have been recommending the latter option. I really don’t understand the strategy of Hamas during last weeks. In my opinion Hamas is closing the window of opportunity which was opened this autumn. Arguably one of the most powerful men in modern Arab political affairs, Sheikh Hamad bin Khalifa Al Thani personally broke the politico-economic blockade in place over Gaza. His meeting with Haniyeh, along with the $400 billion he brought with him, is the first event of this kind since the Islamist movement gained power in 2005. The official visit of an Arab head of state in Gaza should be considered as a trigger of a developing inclination which will likely alter the Israeli-Palestinian equation. Along with Qatar, Sheikh Al Khalifa, Bahrain’s ruler, is rumored to prepare his own trip to the Gaza Strip. This would in fact echo an implicit blessing of the Saudi royal family in regards of a new policy aimed at effectively fracturing the Arab-Palestinian relations. In my opinion these visits could give both a recognition and the boost for Hamas to show political leadership in Gaza. To be recognized as political force – instead to be a terror organization – Hamas could be the partner to negotiate a peace deal with Israel. However Hamas made opposite choice, it started again a military campaign. The reasons for this are unknown to me but might it be so, that Hamas has lost control to more aggressive organizations? In addition to these diplomatic shifts, Prince Hasan Bin Talal of Jordan stated at the beginning of the month of October that the West Bank is historically linked to the Hashemite Kingdom, thus opening the road again to the integration of these territories to Jordan. By empowering Hamas, Al Thani may be successful in terminating the two–state solution while providing to the Jewish state the possibility to have a multi-faceted approach toward peace negotiations, directly separating the talks with the West Bank from the ones with Gaza, effectively opening the road to a three–state solution. Palestinian statehood in Judea and Samaria would be possible through mutual recognition and far reaching security agreements. Such a deal should no longer be attached to the situation in the Hamas-ruled Gaza strip. The history of Gaza conflict is known. Israel left the Gaza Strip down to the last soldier, settler and to the last square mile. Hamas, an organization committed to the destruction of Israel, seized control of Gaza. Since the rocket fire continued, an (light) embargo was put in place. Hamas and its satellite organizations proclaim war without end, fire rockets at population centers. The Palestinians could have taken advantage of Israel’s departure from the Gaza Strip in order to prove to the world that they are capable of doing something for themselves – in human development, industry, education, social welfare, etc. Capital is flowing but it is hard to see it on grassroots. But Hamas leadership seems to have different priorities than capacity building of civil society. From my point of view this is their fatal miscalculation. While secret war between Israel and Iran has been going on already years with assassinations, Stuxnet and other cyberwar projects, war games, military demonstrations etc its pleasure to find out that secret diplomacy has also been implemented. The delegations from Israel and Iran led by senior officials had secret talks during a nuclear non-proliferation meeting in Brussels this week. Officials from Israel and Iran had an informal discussion with representatives from about 10 Arab states, US officials and European moderators to explore the possibility of holding a UN-sponsored conference on establishing a WMD-free zone in the Middle East. The secret talks in Brussels, Belgium,two-day event was billed as an academic seminar. 70 buses rode the streets of TelAviv carrying message for peace. According an article in The Guardian a historic conference bringing Iran and Israel together with Arab states to discuss a ban on nuclear, chemical and biological weapons in the Middle East is scheduled to take place in Helsinki in December, it has emerged. The Finnish organisers of the UN-backed bid to establish a zone free of weapons of mass destruction are said to be cautiously optimistic that the conference will go ahead despite high tensions in the Gulf. The Finnish team has held about 70 meetings with officials in the region and made repeated trips to Israel and Iran since the veteran diplomat Jaakko Laajava was appointed “facilitator” of the consensus in October. So far, none of the countries invited to Helsinki has turned the invitation down. A media blackout was imposed on the discussions but according some leaks in contrast with the saber rattling of both sides’ leaders the event went in a businesslike manner without denunciations and empty rhetoric at the conference. On 5th November 2012, Israeli daily YNet reported that Barack Obama’s senior advisor, Valerie Bowman Jarrett, is secretly assisting the U.S. administration to communicate with the representatives of Iran’s Supreme Leader Ayatullah Ali Khamenei. Last month, The New York Times reported that the US government is engaged in secret talks with Iran aimed at establishing a direct line of communication once the US presidential elections are over. In August 2012, Iran converted some 38 per cent of its uranium enriched to 20 per cent into fuel rods for its civilian research reactor. This move somewhat postponed the critical moment after which Israel would evaluate that Iran has enough uranium to produce a nuclear weapon. 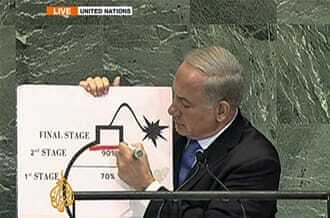 Defense Minister Ehud Barak estimates that Israel ‘postpones’ nuclear Iran red line by ‘8 to 10 months’. While military strike still is a serious thread the secret war has been going on the whole time. From Israeli side well known actions are assassinations of some key figures in Iran’s nuclear program, Stuxnet and some strange blasts and explosions in Iran’s nuclear facilities. On Aug. 15, a cyber-attack hit Saudi oil giant Aramco with devastating results, 30,000 computer workstations were rendered useless and had to be replaced. A few days later in Qatar, a similar virus attacked the RasGas natural-gas company, a joint venture between Exxon Mobil and the state-owned Qatar Petroleum, which operates the world’s largest natural-gas field. Hizbullah followed up the cyberattack with a drone mission on 6th Oct. 2012. An Iranian-built surveillance drone dubbed Ayoub flew from Lebanon into southern Israel before being shot down by the Israeli air force. Officials from the Iranian Revolutionary Guard Force told the Al Arabiya newspaper that the target was the Israeli nuclear reactor at Dimona, the centerpiece of Israel’s nuclear program. Of course its is unrealistic to wait that there would be a Middle East ban on nuclear, chemical and biological weapons in near future. However from my point of view even discussing the possibility between Iran and Israel at the anticipated Helsinki event would be giant progress and will give hope that a non military development might be possible. Article (short version) first published as Palestinians Put Jordanian Option on the Table on Technorati. Farouk Kaddoumi, a veteran PLO official, dropped a political bomb (on 31st Oct. 2012) with a call for “returning” the West Bank to Jordan during an interview with the London-based Al- Quds Al-Arabi newspaper. Kaddoumi, who is based in Tunisia, said he supported the idea of a federation or confederation between the West Bank and Jordan. His remarks are the first of their kind to be voiced by a senior PLO figure in decades. Kaddoumi’s remarks about returning the West Bank to Jordan apparently came in response to recent statements made by Jordan’s Prince Hassan bin Talal, who served as crown prince between 1965 and 1999. Recently in a meeting with Palestinian citizens in Jordan, Prince Hassan bin Talal made an unusual statement, saying that the territories of the West Bank are actually part of the Hashemite Kingdom of Jordan. He added that the two state solution is irrelevant in the current stage. From Israeli point of view many Israelis view the involvement of the two Arab states that have signed peace treaties with Israel as central in providing security and stability in the territories from which Israel has departed. Palestinians are now implementing a diplomatic offensive to get votes in favor of their partial statehood bid, or better say in favor of giving Palestinians non-member observer status, at the United Nations. Palestinians say they intend to ask the U.N.’s General Assembly to vote on the matter on either 15th or 29th Nov. 2012. Israel and the United States are opposed to the move, saying Palestinians should negotiate their statehood with Israel, not conduct unilateral moves. Also if a Palestinian state is established there, many fear that it would be taken over by Hamas. Last year Palestinians tried and failed to achieve status as a full member state at the U.N. Security Council. PLO had obtained membership in the international organization in 1974. Mr. Kaddoumi made quite good remark during his interview, mentioned above, that the UN had recognized the Palestinian state declared by Yasser Arafat in 1988, adding that 105 countries had since lent their own recognition. “By going back to the UN, Abbas is falsely creating the impression that he is making achievements that were already achieved,” he said. As possible solutions for Israeli-Palestinian conflict there has been 3 (Israel, WB, Gaza), 2 (Israel, Palestine) and 1 (Isralestine) state scenarios, then of course allways easy option is a ”status quo” scenario. Here I connect three-state scenario (sometimes described also as nostate option) with Egyptian-Jordanian solution aka Jordan-Egypt option aka Shared Jordanian-Egyptian rule: Amman rules the West Bank and Cairo runs Gaza. I have been advocating long Three State Option as the most pragmatic solution to Israeli-Palestinian conflict. For 19 years, Judea and Samaria were part of Jordan, its population Jordanian citizens, and the geographic juxtaposition between Israel and Jordan should make delineating the border between the two countries in an agreement considerably easier than reaching a deal on a border between Israel and a Palestinian state that might be established in the area. If three state solution will be implemented so Israel would receive security guarantees from Jordan’s monarchy, which made peace with Israel in 1994, rather than from a politically enfeebled Palestinian president as well from Egypt, which has peace deal with Israel since 1978, rather than from outside supervised Hamas. I generally ignore Israel’s biblical rights (e.g that the borders of Israel in accordance with the divine promise in the Bible: from the Euphrates to the river of Egypt) related to Judea and Samaria aka Westbank but as they explain one part of Israeli’s arguments today I would like to mention from historical rights the era of tribal periods when the Israelite tribes lived as a confederation. The Torah traces the Israelites to the patriarch Jacob, grandson of Abraham, who was later renamed Israel. Jacob’s twelve sons “Israelites” (also the “Twelve Tribes” or “Children of Israel”) means both the direct descendants of the patriarch Jacob/Israel as well as the historical populations of the United Kingdom of Israel.This united monarchy was established in around 1020 BCE when the tribes united. 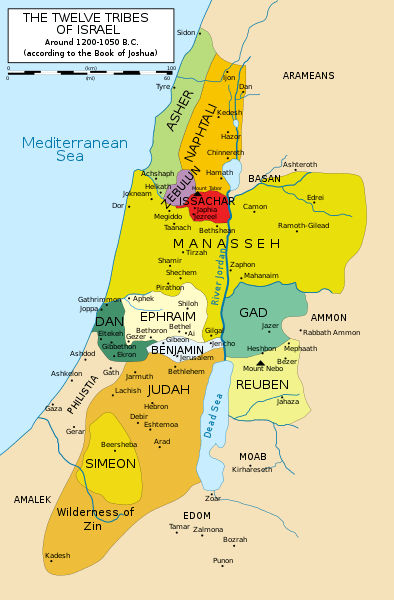 David, the second King of Israel, created a strong unified Israelite monarchy in c. 1006 BCE and also established Jerusalem as its national capital 3,000 years ago. Beginning in the 5th century BCE, the remnants of the Israelite tribes came to be referred to as Jews. Contemporary history gives more relevant view to present conflict. From Israeli point of view the legal rights to the land are based to the Balfour Declaration of 1917 and the League of Nations San Remo Conference of 1920. The geographical area called Palestine was to become a homeland for the Jewish Homeland. The land was administered as British mandate. 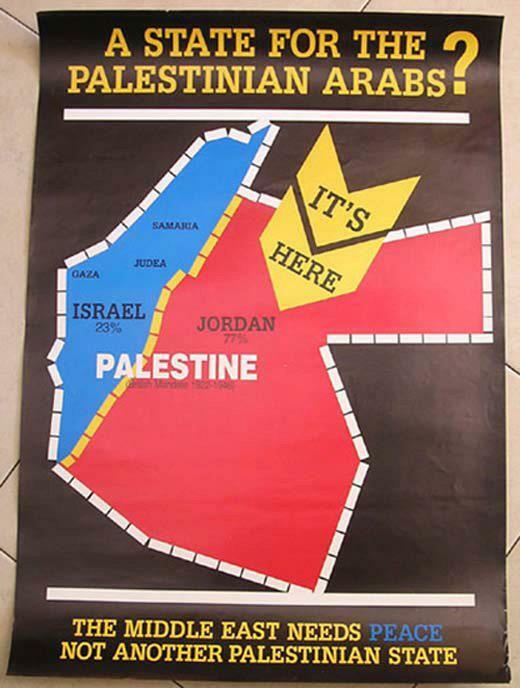 Britain split off 75% of Palestine to establish the Emirate of Transjordan split off 75% of Palestine to establish the Emirate of Transjordan on the eastern bank of the Jordan river. This part is now known as the modern Kingdom of Jordan. The Peel Commission of the late 1930’s endeavored to partition the western portion of the original Jewish Homeland into Jewish and Arab mini-states, the latter to mollify Arab rioters fomented by the Grand Mufti of Jerusalem, Haj Amin al Husseini, an close ally with Hitler during WWII. In 1948, Arab armies and volunteers – from Egypt, Jordan, Iraq, Lebanon, Syria, Saudi Arabia, Yemen and Morocco – attacked the newborn State of Israel. Transjordan annexed the area intended for an Arab state, and renamed itself the Kingdom of Jordan, calling the annexed area the “West Bank”. 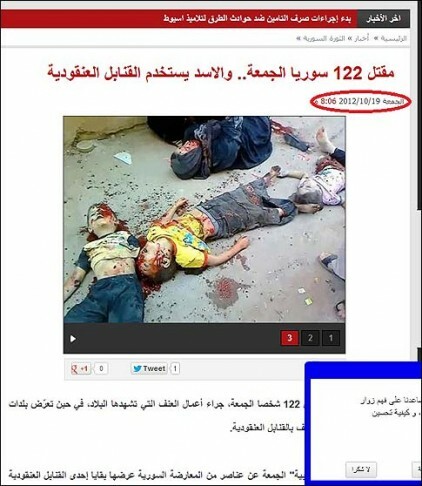 Egypt took over Gaza. 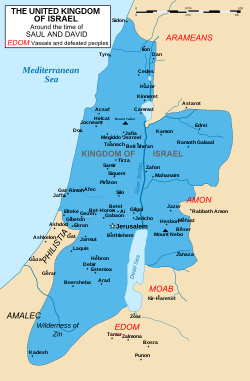 These areas controlled by Jordan and Egypt from 1948 to 1967 came under Israeli control during the Six Day War of 1967. As a result of the 1978 Camp David accords – in which Egypt recognized the right of Israel to exist and normal relations were established and Sinai was returned to Egypt. A peace treaty was also made with Jordan and which officially renounced its claim to the West Bank in 1988 when the late King Hussein announced his kingdom was cutting off its administrative and legal ties to the area. You are currently browsing the Conflicts by Ari Rusila blog archives for November, 2012.